Have you adjusted your privacy settings with Google? 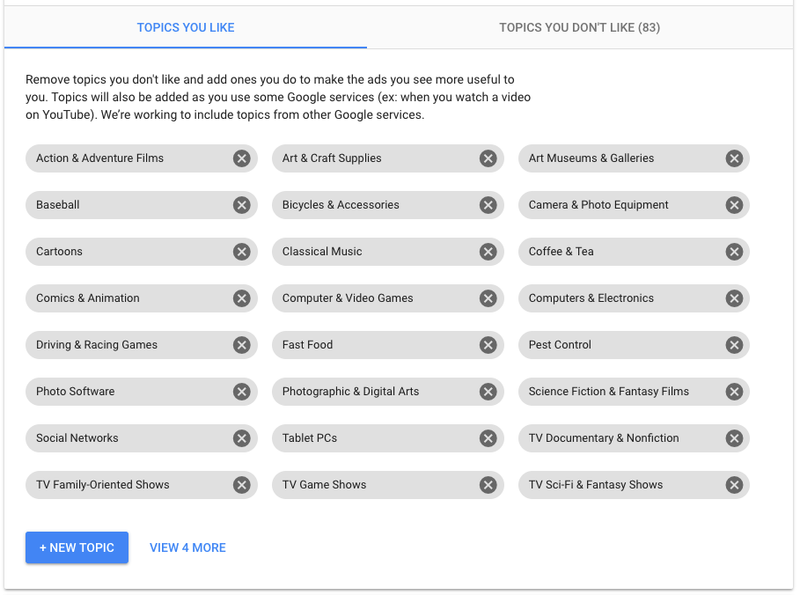 You get to pick what topics Google shows you in Google ads. Pick exactly what you want to see. Cull down all those boring unrelated topics. Force Google show you super-cool ads! A few weeks ago, I adjusted mine. Since then, Google secretly added “Pest Control” to my list! I removed that. Only super-cool things are on my list! Initially, your list will probably have 99 topics. You use the internet and aren’t interested in cats? Isn’t that what it was invented for?